Fit's all Ironhead Sportsters and 45's. Replaces OEM #'s 7804, 16603-72. 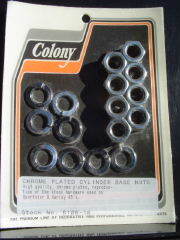 Colony Stock # 8106-16 & 8107-16.